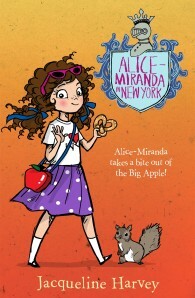 Alice-Miranda is in bustling New York City. It’s a blur of skyscrapers, hot dog carts, chats with zoo animals and classes at Mrs Kimmel’s School for Girls, right next to glorious Central Park. Her family’s glamorous department store, Highton’s on Fifth, has just been renovated but plans for the fabulous re-opening party are going curiously wrong. Is that why Alice-Miranda’s father Hugh seems so worried? And why is her new friend Lucinda so shy about inviting Alice-Miranda home?